This is a great time of year to review your personal finances and consider some best money management practices. I keep a close check on my finances monthly, quarterly and annually. So I decided to brainstorm a list of as many personal finance tips as I could think of. And put them all in one place. Each one of these personal finance tips represents an activity I engage in periodically. Why is personal finance advice important? To build wealth of course. That’s what we are all about here at Dividends Diversify. 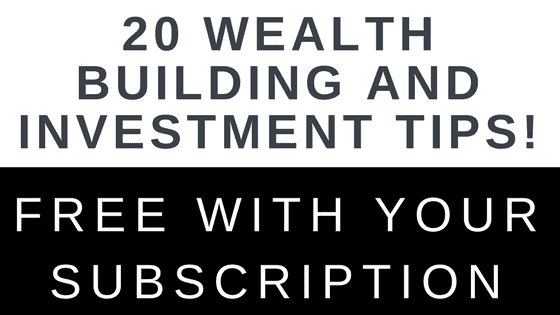 “Building Wealth One Dividend At A Time”. Dividends are great, but true wealth building is more than just about dividends. And I can’t believe I just said that! Putting this article together was a good refresher for me. And hopefully it will be a good check list for you too. We are all a little different. Maybe you will go through this list of personal finance tips and say “I’ve got all this down pat”. Or maybe there are just a few personal finance tips where you need to focus your efforts. Because we all have our strengths and weaknesses. So let’s get on with our personal finance tips. I’m a big believer in playing offense as it relates to this discussion of personal finance tips. You can only cut expenses so low. Not that expense management is unimportant. But income has no limits. And your income is the gas for your wealth building engine. So focus like a laser to increase income from your work. If you are working for “THE MAN” or “THE WOMAN”, whatever the case may be, get ready for that performance review. Make sure you are ready to discuss your accomplishments and plans for the coming year. Didn’t get the raise you were looking for? Then set clear expectations with the boss for what it takes to get what you want. Still do not like the answer? Then dust off that resume and test the market. In my career, I stayed too long at one employer where small raises were the norm. So I got out of there and earned what I deserved. It was better late than never. Unemployment is at generational lows and the labor market is tight. There may never be a better time to take advantage of changing employers to get a better job and make more money. While we are on the subject of your employer, be sure to double check your retirement plan contributions. A list of personal finance tips would not be complete without advising you to maximize your retirement plan contributions. Whether it be a 401k or another countries equivalent, it is hard to beat the tax advantages that these investment vehicles offer. And it is forced savings. If the money doesn’t hit your checking account with your direct deposit, it is much harder for you to spend it. It has been pretty well documented, that even wealthy people set and operate against a monthly budget. It is one of many personal finance tips the wealthy live by. There are different ways to go about it, but I like to keep it simple. We personally use one cash back credit card for almost all our expenses. I can see what we spent and where we spent it by logging into our account. From this data and few other expenses like utilities and property taxes that hit our checking account directly, I set a rough monthly budget by spending category. Now that we have covered budgeting personal finances, let’s not forget about saving money. Maybe we can beat our budget and have more cash left over at the end of the month. Our discussion of personal finance tips wouldn’t be complete without thinking seriously about saving money. Hey, we can all spend a little less money if we put our mind to it. Here are a few reminders. Cut back on the daily $5 cup of coffee from your local shop. I drink coffee every morning, but I brew it at home for pennies a cup. Need to lose a few pounds? Couldn’t we all? But do you really need the monthly health club membership. I get some exercise almost every day by walking or jogging in my neighborhood. And stretching, doing planks and free weights in my basement. Do you really need to buy that item you are looking at? Check out 2nd hand stores and garage sales. I needed a few prints and pictures for my home office and did just that. Or maybe just wait a few days and the desire to spend will subside. Transportation is a big cost. So see if you can get a little more time and mileage out of your vehicles. Keep them well maintained and hang on to them as long as practical. Mrs. DD and I drive a 13 year old Toyota Corolla and 10 year old Toyota Camry, respectively. Yeah. I know we are pretty cool sporting around in those fancy wheels. NOT! Are you in the market for a new home? Whether you are a first time buyer, looking to trade up or need to relocate, be smart about it. Houses are expensive. And it’s not just about the purchase price and mortgage interest costs. Property taxes, insurance, maintenance, surprise repairs and renovations can all add up fast. So make sure you know what you are getting into, especially if you are buying your first home. Do you really need all that square footage? We have learned this first hand. Time pressured to relocate for Mrs. DD’s new job a couple years ago, we doubled our house size and improved our location considerably. Our housing costs are now more than 3 times what they used to be. OUCH! And while we are on the topic of homes and cars, don’t forget about insurance costs. Here is a true story. I used to insure through one of the big US insurance carriers that sells direct to customers. Every year my insurance bills went up. Finally, I went to an independent broker and had him bid out our policies to multiple carriers. We received similar coverages for about a third less in cost. My former insurance company was just gouging us. And while you are talking to that insurance broker, make sure you have the right coverages in place. Has the value of your home changed? Maybe you can self insure a little by increasing deductibles. Have you built some wealth? Perhaps you need an umbrella policy to provide extra liability coverage. After all, if you have some money socked away, you don’t want an accident and a lawsuit to rob you of your hard earned savings. Are you taking advantage of all possible tax deductions? Taxes are so complicated. I am a CPA and still struggle with it all. Consider using a tax professional. Maybe they can save you some money. I personally use tax software and do our taxes myself. It is a good way for me to save a few bucks. Make sure your tax withholdings are as accurate as possible. Did you get a large refund this year? Don’t let that happen. You are just giving the government an interest free loan. Keep that money and put it in a high interest savings account and you will be money ahead. Conversely, make sure your withholdings are adequate to cover your tax liability. No need to pay a penalty for not paying enough tax throughout the year. Okay. Now that we have discussed maximizing our income and minimizing expenses including income taxes, hopefully this has created some excess cash. As a former corporate financial officer, I call it free cash flow. It is like the blood running through your veins breathing life into all of these personal finance tips. So make a plan for every extra dollar of free cash flow that you create. Here is the pecking order of what to do with that cash. Top off your emergency fund. Make sure you have 3-6 months of living expenses on hand in a high interest savings account. Payoff debt. Start with the highest cost debt. This is normally credit card debt. It is virtually impossible to build wealth while engaging in credit card debt. Then move on to auto loans, student loans and maybe your mortgage. Having an emergency fund and debt payoff set the foundation. However, invest your money wisely and you can take your wealth to the next level. Invest in yourself through mentoring, training and on the job development. And invest in real estate and/or financial assets. I’m not much of a real estate investor having focused on financial assets most of my life. Invest for the long term. Markets and asset prices go through up and down cycles. However, over the long run, you stand a better chance of earning positive returns on your investments. Check your asset allocation. Asset allocation is the mix of assets you hold. Cash, bonds, stocks, commodities and real estate are some of the major asset classes. And asset allocation is one of the primary drivers of investment returns. One rule of thumb is to subtract your age from 100 and put that percentage in stocks. Put your 3-6 month of expenses for emergencies in a high yield savings account. And put everything else in bonds. Diversify your holdings in each asset class. If you hold stocks, bonds or real estate, don’t just own one company or property. Own a portfolio of several, or invest through a diversified fund that holds many. Also, consider international investments. With diversification, if one investment goes bad, it won’t take your entire investment portfolio down with it. And of course investing in dividend stocks is a great way to go. Invest on a regular basis. This strategy is known as dollar cost averaging. It reduces your risk of putting all your money into an investment at its peak price. Reinvest all dividends. If you do not need to spend your dividends, reinvest them. Dividend reinvestment plans (DRIP’s) are one method where the dividend is automatically reinvested back into the security that paid it. 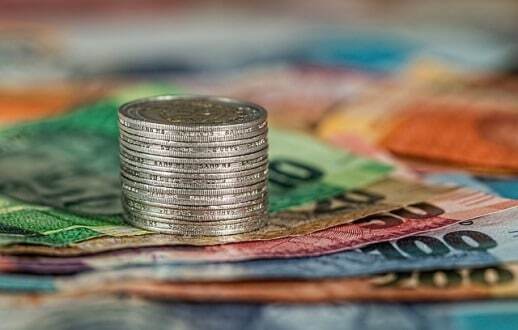 Another method is to let the dividends accumulate in cash and reinvest them in a lump sum into an investment of your choosing. If you choose the accumulation method, make sure you are disciplined. Don’t spend those dividends, reinvest them. This is how you compound your returns. Minimize investment costs. Focus on low cost funds or individual securities. Furthermore, keep trading to a minimum to avoid transaction fees. Start assessing your retirement readiness. There are a few basic rules you can use. 80% of earnings rule. This retirement formula says you need 80% of your pre-retirement income. Why 80%? Because some of your expenses will go away in retirement. For example, expenses for commuting, work clothes, college tuition bills all should be done. In addition, you won’t have to save for retirement. The 4% rule. Research shows that 4% can be drawn from a diversified investment portfolio without depleting it. And, the 4% withdrawal can be increased for inflation each year. This rule is a classic. It has been back tested over many years and under many different market conditions. However, there are no guarantees. Passive income rule. It simply states, you need a passive income stream to cover at least 100% of your annual expenses. The definition of passive income can be debated. Probably included are income streams from dividends, interest and real estate rentals. This retirement rule of thumb is my personal favorite. And don’t forget to think about what you will do when you no longer are working. Do you want to travel, exercise and spend more time with family and friends? Maybe even take on a part time job or start an encore career. Just because you have the personal finance aspects figured out, doesn’t mean you will be happy in retirement. You need a meaningful way to spend your time. Take care of your health and your loved ones. It’s no fun having money and financial freedom if you are not healthy or do not have anyone to spend your time and money with. And continue learning. Learn about everything that interests you. An active brain is a healthy brain. But for learning, we will stick to just personal finance tips here. How about reading a new investing book or personal finance blog. I may be a little old school, but I still like to pick up a personal finance magazine now then. I like to go to the library and read different personal finance and business news publications to get new and different perspectives. That covers some personal finance basics. What important personal finance tips do you have that I did not cover here? thanks for sharing your tips. Especially I like the last two points that go beyond pure investing. Without good health and family/friends the whole building wealth process is less enjoyable. And by keep learning new things, we most likely will improve our investment decissions as well.. Very nice tips Tom, and one that I really need to take a look at this year is to evaluate our insurance (coverage and carrier, as we have been with the same company for over 20 years). One tip that I have followed since very early on, and repeat to my boys regularly, is to approach things in bite size pieces and document a plan with goals (either written down or electronically). Depending on where you are in this journey, it can seem overwhelming and daunting but by breaking things down into smaller pieces it is more manageable. In terms of documenting the plan and goals, I am a big believer in the value of written goals in all areas of life. Beautiful. So much great advice here. What a great primer for anyone new to personal finance. My favorite advice is to be really mindful when it comes to housing and cars. Subdue your housing and car costs and you’re well on your way to financial security and financial independence. Great post. Cheers. So many great advice you got here. Being mindful with big expenses like housing and cars is extremely important. Saving that latte for all year wouldn’t matter if you get yourself an expensive car that you can’t afford in the first place. You’ve covered a lot. I can’t readily think of anything else. And the order makes sense too. Your income can keep going up but you can only cut expenses up to a limit in order to live comfortably. I still like going to the library myself and many in my area have been recently renovated as to really enhance a persons visit! Great tips! I’ll return to this article a lot in the next few weeks as we re-optimize our finances. I’m especially dissatisfied with our insurance bills that, as you say, have been going up consistently despite no claims and our trading down to a cheaper car than we used to have. Hi Tom, you have covered it very well. Regarding increasing the work income, it’s very true: “It was better late than never.” Yeah, changing jobs is a good way to increase the income. Some people feel so complacent with one employer, and don’t want to move around. But that could miss the good opportunity. Yeah, house and cars are big-expense items. We have to be cautious when purchasing them, and make sure we don’t overspend on them. I like that you and Mrs. DD drive 10+ year old cars 🙂 Especially the Toyota Camry, isn’t that the official Millionaire Next Door car? 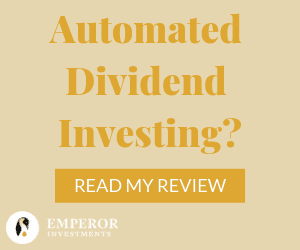 Do you DRIP or do you invest your dividend distributions manually? You may have covered this before but I can’t recall. Thanks for Sharing your nice and informative words on Personal finance and Wealth. Above personal finance tips you have shared are really fabulous and helps to build wealth in easy and effective way. Informative stuff….Keep it up……. Hi Tom. I enjoyed going through the list. The budget item stuck out to me. Having a budget to work with is a key piece that seems to be quite difficult for many to create. I don’t know if the resistance comes from having to look at the numbers, or the feeling that the budget is limiting their spending. I also agree with your thoughts on being mindful of the big ticket spending. Many people get in over their heads with home and auto purchases, making it hard to have that positive end-of-the-month cash flow. This was certainly a timely message to kick off 2019, as many may be looking for ways to help them succeed with their financial resolutions. I still need to set a proper retirement plan. I am only 33 but the sooner I get the plan done the better. It will be just an assumption but will definitely guide me to make better investment decisions. I specially like the last two tips, it sometimes gets somewhat forgotten on the way to FI. Awesome post! A lot of detailed information! Thank you!